September is the month of the grape harvest and of the celebrations dedicated to it. In some areas of the south, grapes are ready for harvesting in August, and towards the more Northern regions, it can take up until November for the grapes to be ready – it all comes down to ripening of the grape, it must have the right level of sweetness. 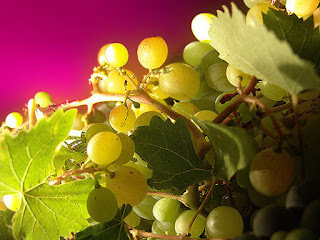 In Umbria and Tuscany, the grape harvest happens in September, and it is therefore big on the agenda for regions to which wine is very important. Grape-picking is just the first step and is one of the most celebrated occasions in Italy, extended families and friends get together, in the early morning hours snipping grapes off the vines and depositing them into large tubs or other containers. Later, the grapes are crushed and made into wine (sorry, no secret recipes here!). If you visit a winery it's just very fascinating to watch the mixture of old tradition and new technology working hand in hand! Città della Pieve, a Perugia pearl about 90 kilometers north of Rome, has its own frolicking version, highlighted by an archery competition and, on a lighter note, flour tossing. The Palio dei Terzieri, held on the last Sunday of August, gives Città della Pieve its summer flavour. It is an old Medieval festival- the three town's terzieri (boroughs) Borgo Dentro, Casalino and Castello parade through the streets with about 700 personages in costume, inspired by the works of the most famous figure whose birthplace was Città della Pieve: Pietro Vannucci, known as the Perugino. Castello symbolises the ancient knight class, Borgo Dentro the middle class, and Casalino or Popolino, are both diminutive references to lower classes. Medieval towns were strictly divided along class lines, and these distinctions were prevalent until recently. On the morning of the Palio, townswomen dressed in velvet period garb parade past shops and storefronts on their way to the headquarters of the terziere to which they belong. By 3 p.m. the procession begins, led by members of the previous year’s Palio winner. The competitions themselves, which follow the parade, are anything but simple. Among other tests, archers must strike the spinning outline of a bull- adjusted to move at three speeds. While shooting, they must deal with their nerves and whispers and shouts from opposing terzieri. When a winner is declared, organised mayhem begins, with dames, pageboys and the irreverent popolani dancing and shouting. After the archery contests come the flour wars. Members of the terzieri “attack” one another with small bags of flour, which in a matter of minutes leaves the elegant corso looking like a cross between a mountain slope and a madcap kitchen. The run-up to the Palio sees the opening of the town’s taverna, informal restaurants with local cooks. In challenges requiring precision and deft skill, it could be said that all it takes is a flick of the wrist, yet watching the participants in this engaging cacio-hurling contest, I think it would be safe to say that it's also worth knowing your cheese? 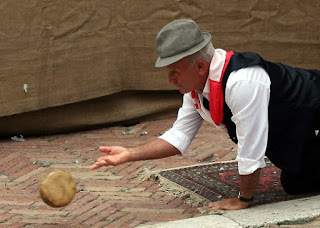 At the Fiera del Cacio in Pienza, the event is held on the 1st Sunday of Sept, the real attraction is a traditional game of rolling-a-round-of-cacio-toward-the-spindle. The game is simple enough- men at one end, spindle at the other. Points are tallied according to where the cacio landed. All of the elder players are a thrill to watch as they just seem to have that added flair honed into their strategy. The saying is... the true pecorino is made in Pienza! During the festival you can find all along the main street and in between the alleys branching off, numerous stands of pungent pecorino. Thick strands of pici pasta, chickpea flour, thin anise-flavoured wafers called brigidini, salumi, olive oils, even a cart selling nutella-filled crepes hot off the griddle... all of the things that make Italy such a divine place for the senses are present to amplify the event. Cheese anyone? Trasimeno is Italy’s 4th lake in size, has tectonic origins and is fed mostly by rain and a few streams. Legend tells of the tragic love story between Trasimeno, son of Tyrrhenus king of the Etruscans, and Agilla, a lake nymph. When Agilla heard that Trasimeno had been called back to his father’s kingdom, and realised their love could not last, she wept so much that her tears grew in size and formed a heart-shaped lake. The other, historical version states that in order to settle the disputes about the boundaries between populations a wedding was arranged between Trasimeno son of Tyrrhenus and Agilla, daughter of Amno, who offered the lake as dowry; it was then named after the groom. More realistically, the name Trasimeno is related to the lake’s geographical position beyond the Imeno, the ancient name of the hill which marks its northern border. The entire Trasimeno area was declared a National Park in March 1995; together with lake Balaton, Trasimeno is one of the few “laminar” lakes in Europe, and is an exceptionally valuable damp area due to its rich flora and fauna. The wide reed areas, its shallow depths and the absence of pollution make this lake one of Italy’s most favourably for fishing. The lake is surrounded by medieval and Renaissance little towns which still preserve all the charm and the history of lake areas: Tuoro sul Trasimeno, Castiglione del Lago, Passignano. Sunday 15th of August 2010 Happy Ferragosto! Ferragosto is the largest summer holiday in Italy, August 15th, to celebrate the Assumption. Originally, it was the day marking the middle of summer and the end of hard harvesting labour in the fields. In time, the Church adopted this date to commemorate the Assumption of the Virgin Mary, the real physical elevation of her sinless soul and incorrupt body into the heavens. Most Italians go away for this holiday and the cities empty out while the beaches and coasts fill up. Everyone is at the beach, preparing for the night’s feast, fireworks, and camp-out under the stars. This means that Perugia has been pretty dead, and it's nice to feel like you have the city to yourself but also nice to not feel like there's nothing to do because everything is closed. Some museums are open on Ferragosto and churches will be busy with services. Although cities are half empty, resourceful travellers will find plenty of interesting things to do on this day. Here are some picks. 2) Cure what ails you at a thermal bath establishment. Call to make sure it’s open, and don’t expect to be able to book a massage. 3) Head to Siena for the palio that takes place on August 16th. Festivities start building up the day before. 4) Go to Orbatello to the WWF protected coastal lagoon and see pink flamingos. Then pitch a tent at the nearby Argentario camping village; stay up all night partying and setting off fireworks. Actually typical Ferragosto food revolves around fresh, raw vegetables and fruit to ward off the heat. Cold beverages, fruit salads, cold pasta and Pomodori al Riso are almost always on the menu. Roadside stands selling whole watermelons and/or chilled slices of the fruit are a summer feature throughout Italy. 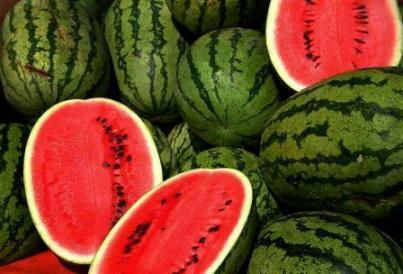 The hand painted signs on country roadside stalls may read the word 'anguria,' but the dialectal term cocomero is watermelon’s name in Rome and its vicinities. 6) The archaeological museums of the province of Bologna are, with only one exception, open this year for Ferragosto. 7) If in Rome, go to the Villa Celimontana Jazz Festival. I’m running out of ideas… go to church. 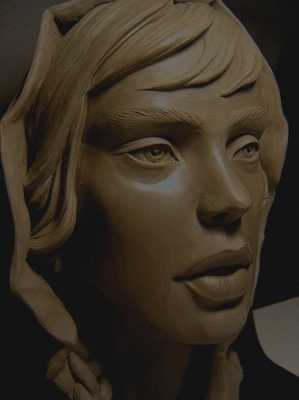 Churches will be celebrating the Assumption of the Madonna, so around 10am, you can certainly go to a service in the Cathedral of any city or town.